Too Many Clogs to Start the Year? We Have the Answer! December is a rough part of the year for the plumbing in a home. It’s the season of guests and feasts. You may start off January with drains that have gone through far too much and are now creating regular clogs or slow drainage. If you’re trying your best to get a fresh start on 2019 and dig into those resolutions, clogged drains can put a damper on things quick. You may be able to get the clogs out with a plunger or a basic drain snake (please don’t use chemical cleaners), but there’s a much better answer. Isn’t drain cleaning just a way to get out tough clogs? Drain cleaning can definitely take care of those drain obstructions you can’t remove with plungers and drain snakes. This is, after all, one of the basic jobs of the professional plumber: show up when the drain stops up! A plumber will often use powerful motorized drain augers to eliminate major clogs, and in more tricky situations, video pipe inspections can locate the specific trouble. However, we want our customers to know that drain cleaning is also a preventive tool. A maintenance tool. We recommend homeowners have it done once a year, and January is a great time for it. Not only is it when drains are often in the most need of assistance, but it’s also when people start thinking about their plans for the home for the rest of the year. Strike now when it’s on your mind! 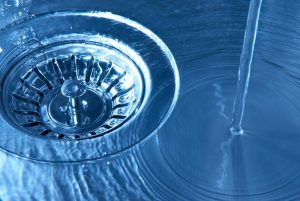 What can regular drain cleaning do for me? An appointment for drain cleaning in Chicago, IL isn’t about a plumber coming to your house and tackling a single drain that’s giving you trouble. It’s about cleaning out all the drains around the house, no matter if they’re clogged, to remove the buildup inside the drains. All drains pick up material that adheres to the pipe walls over time. Food particles are especially a problem for the kitchen sink. The shower and bathroom sinks have trouble with hair caught in the p-trap and soap scum. If nonflushable items have gone down the toilets (and those moist towelettes are not flushable, no matter what the package says), they can also be ready to start obstructions. Professional drain cleaning uses both drain augers (a good way to hit major trouble spots) and hydro-jetting to do the job. The goal is to completely remove the buildup from the pipes so it’s difficult for it to start up again. You should have trouble-free drains for most of the year. Our ServiceMax plumbers use an additional tool you won’t find with most other plumbers. Bio-Clean is a natural drain cleaning solution that uses bacteria to eat away at build-up in pipes without the damage that comes from using chemical cleaners. No toxic fumes and no residue left in the pipes either. Speak to our plumbers today and they’ll help to arrange for a convenient appointment for your 2019 drain cleaning. ServiceMax is trusted in Chicagoland and offers 24-hour service. Schedule drain cleaning with us today to get a great start on 2019.